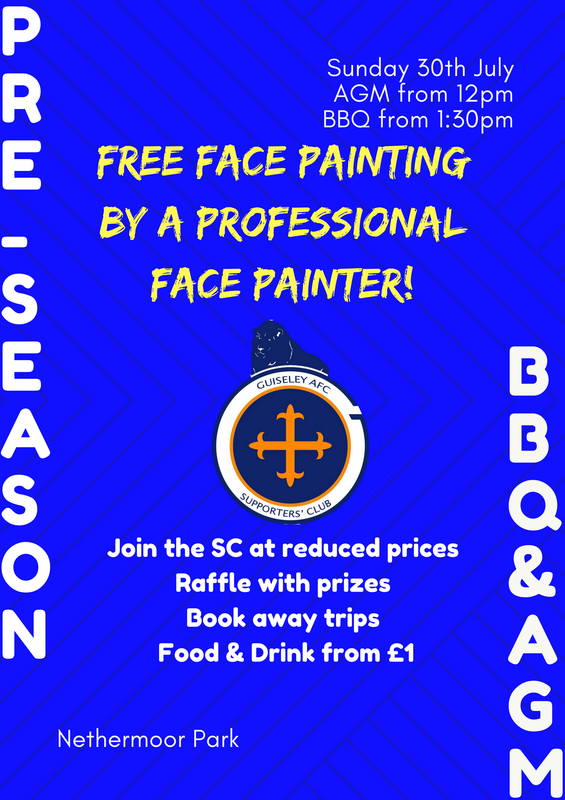 We will be holding our popular pre-season BBQ on Sunday 30th July from 1:30pm at Nethermoor. As well as a bar and the BBQ, you can join up or renew your Supporters’ Club membership at a reduced rate while there will also be a raffle taking place with plenty of chances to win prizes. You can also book your places on our first few away trips of the season which will be confirmed in early July. There's also FREE face painting from Emma's Face Painting business! Prior to the BBQ, there will be the Supporters’ Club AGM, which gets under way at 12pm in the clubhouse. We hope that you will bring your family and friends down to what is set to be an enjoyable afternoon.